Charming Suitor and I have a big weekend ahead, which includes a visit from NYC Penny, and a small dinner party with Hostess with the Mostest and Big John. 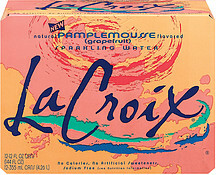 We were also out of LaCroix Pamplemousse, which is like being out of air. So I set an order with Peapod, the local grocery delivery service, to stock up on everything we needed. I love Peapod, especially for staples and heavy stuff. It frees me up to do small targeted shopping for great produce and meat without having to schlep cases of delicious grapefruit sparkling water. I logged in, filled my cart, set my delivery time for Tuesday, perfect since the fridge was full of slightly wobbly celery and condiments, and we were going to need dinner as well. Tuesday I waited. And waited. The weather was icky, so I even waited a FULL HOUR after the set delivery time. And then I called. I was polite, but the teensiest bit righteously indignant. I appreciated the weather issue, and that it might be a busy day, but I was disappointed that no one had called to say they would be so late. The woman was very patient with me as she explained that her people would absolutely call if they were going to be late. On Wednesday. Which is when I had scheduled delivery. I checked back at my confirmation e-mail. Which clearly showed that I had placed my order for delivery on Wednesday. Not only did they show up on time the next day, they showed up in the first 15 minutes of my two-hour delivery window. Because that is how they roll. I? Just felt like a complete dumbass. And we? Had Thai take out for dinner. What are your latest wanna-crawl-in-a-hole moments? Then I heard voices. So I set my eyes straight ahead, went around the corner and sure enough, to my right were 4 black suits lined up. As I marched by I heard one say, "Are you kidding me?" Crawl-in-the-hole enough for you Stacey? My latest was a work thing...I could not for the life of me remember the "technical" name for digging in the dirt. Had to go ask the Super, he looked at me like I had two heads, but very politely replied "excavation". Duh. After waiting two months for an end of day eye doctor appointment, I walked into the office and couldn’t understand why the waiting room was so empty…. It is usually packed! They told me that I came a day early. I totally argued they were wrong and made such a fuss that they had a different Dr squeezed me in and see me. When I got home, and checked my computer (because god forbid I sync to my blackberry) I realized they were right… oops! My latest was last Fall my boss was going on and on (as she is wont to do) about "choosing to be happy" and "getting out there and making it our BEST DAY" and I said in what I thought was a kidding voice: "Oh, shut UP."